Our water wash spray booth, Water curtain spray booth, Air dry filter spray booth, and Powder coating booth are available in a wide range of models to cope with every kind of condition including the situation and size of the painting workplace, size of workpieces, number of painters,etc. Also a wide selection of automotive spray booths are available. - Designed to collect paint over spray solids in the spray booth. - Used for: Automotive parts, Aluminium products, etc. 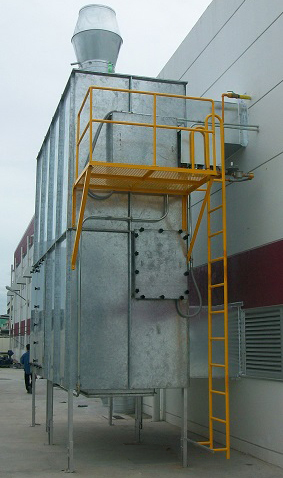 Air supply for air cleaning temperature control and humidity control before intake into the painting room process system. Cleaning room specially for a neat painting process.